David Morris, a Texas native, is a resident of Santa Fe and has been a NDI New Mexico donor with his partner, Terry Sweeney, since 2012. 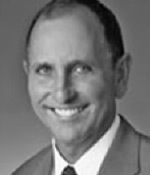 David is the Founder and President of David Morris International. For more than 35 years, David Morris sailed to the top of his profession with Cunard, Crystal and most recently, as Exec VP Sales & Marketing Worldwide for Silversea Cruises. “Starting DMI has put all the pieces together where I could further expand my expertise, while bringing companies an added level of sales and marketing experience.” Throughout his career, David has maintained contacts & friendships with the “Who’s Who” of industry, both inside and outside of travel. These relationships are key to his unique ability to revitalize existing business and cultivate new business where it had not previously existed. David is currently a member of the Santa Fe Development Committee.